Floors are a vital part of the design of your residential or commercial property. A great floor design and finish can transform the entire look of your property and enhance its beauty. However, it’s important that you hire an excellent flooring contractor and that’s just what you get at Moriarty Floor Covering. We’ve been around since 2002 and have worked on many flooring projects in our hometown of Bloomington and surrounding counties. Over the years, we’ve earned the trust and confidence of our customers because we offer consistently high-quality services. Moriarty Floor Covering is a one-stop destination for all your floor covering needs. We have a large warehouse that is stocked with a variety of flooring products. 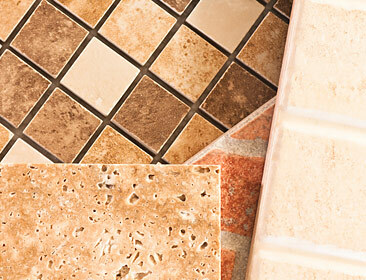 We have vast sales experience and are familiar with floor types that would suit commercial and residential properties. However, our expertise lies in installation. 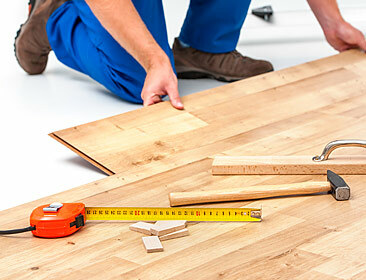 We have an excellent team of installers that will ensure your floor looks great and withstands the test of time. 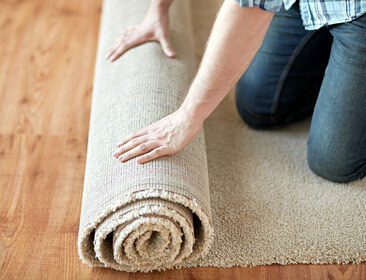 We can install hardwood, laminate, sheet vinyl, carpet, berber carpet, and ceramic tile floorings on your property. We have a variety of products and know how to use them well. No matter how ambitious your flooring project is, we can help. If you have any questions about our products and services here at Moriarty Floor Covering, feel free to get in touch with us. You can call us at 812 824 5555 or fill in our contact us form and we’ll get back to you as soon as possible. Experienced staff is available to assist you in product selection and can help you with all aspects of your construction project. Whether you are a contractor, architect or homeowner, Moriarty Floor Covering delighted to assist you in every way. Moriarty Floor Covering going to keep on delivering superiority in quality, productivity, operational efficiency, value and aesthetics. That way, no matter what the future brings, Moriarty Floor Covering will stay more than a block ahead.